I think the Pakistan case in article wasn't very good example. Russia didn't expect to sale big amount of advance weapons to Pakistan anyway since doing that may impact their relationship with India, which is their biggest client. Defence exports to China provide Russia with a bunch of strategic benefits. a strategic spinoff by counterbalancing US military power in Asia. and forces the Americans to divert substantial offensive and defensive resources to check China. This reduces pressure on Russia’s European flanks. However, Russian arms exports to China come with a major downside. The Chinese often buy limited quantities or ‘samples’, take them apart, and then reverse engineer the weapons. These knock-offs are then peddled cheap as chips overseas, undercutting Russian exports. As the Chinese defence industry grows in sophistication, Moscow sees its market share under threat. In the arms trade, everyone is a copycat. The Russians reverse engineered the B-29 bomber and produced the Tu-4, which was hard to tell apart from the American original. The Germans copied the sloping armour of Russia’s T-34, the finest tank of WWII. Early American missiles were copies of Germany’s V-2 rockets that had flattened London. But the Chinese have taken reverse engineering to a different level. They have copied the German Maglev train and are now offering it to India. Their hackers stole the blueprints of France’s TGV. Chinese J-20 and J-30 stealth fighters are based on technology purloined from American companies that developed the F-35 and F-22. Virtually every missile, tank, artillery system and gun used by the Chinese military is a knockoff of a Russian original. Take the legendary AK-47 assault rifle. but after the licensing agreement ended, Beijing – like Hungary, Slovakia and the US among others – started producing illegal AKs. While the original Russian rifle can cost up to $1500 on the US market, a Chinese version can be bought for $400. Cheap Kalashnikov knockoffs were, however, the least of Moscow’s worries. the aircraft carrier-based Su-33 jet, S-300 air defence system, and the popular Smerch anti-aircraft system. Beijing had acquired them on the sly from third parties such as perennially troublesome Ukraine. The Chinese, on the other hand, deny they copy foreign technology. Whether it is the Maglev, TGV or Flankers, they claim to have made considerable improvements to the original basic design and hardware. “The world’s military affairs have an objective law of development. Many weapons have the same design principle and some command and protection methods are also similar. But experts disagree. There is no doubt the J11B and J15 fighters are clones of the Su-27 and Su-33 respectively. According to Flight Global, the Chinese do not understand – or care about – the concept of intellectual property. but the airframe, at its core, remains a Flanker. Simply upgrading a design after stealing the intellectual property does not make an original design,” it says. After reverse engineering for decades, China is now in a position to encroach upon Russia's traditional export markets. China can use its massive stockpile of export earnings to offer even better terms to cash-poor nations such as Pakistan. say Nikolas Gvosdev and Christopher Marsh in Russian Foreign Policy: Interests, Vectors and Sectors. but also over the loss of sales of those weapons to third countries. In fact, the Chinese are beginning to sound increasingly confident – or brazen. took aim at the T-14 Armata, the new Russian tank described as revolutionary by arms experts worldwide. as we saw through a malfunction taking place during a rehearsal before the May 9 parade. The VT-4 has never encountered such problems so far. The former Soviet Union’s defence industry was of such a gargantuan scale that Russia simply could not sustain all of it. Even today’s much reduced Russian defence sector – albeit larger than the combined defence industries of China and India – cannot survive for long without export orders. to generate revenue to use in defence R&D, and to generate seed funds for its next generation of military technology. So Russia must sell its weapons, and China is the biggest potential market out there,” Gvosdev and Marsh explain. There’s nothing with such a policy. Following the demise of the Soviet Union it was the new Chinese market that proved to be a lifeline. says Andrew T.H. Tan in The Global Arms Trade: A Handbook. “Half the defence firms were close due to bankruptcy,” Tan says. International orders were not being fulfilled – because of the disruption of the supply chain that ran through the various ethnic republics – or had dried up. The Chinese monetary transfusion was essential for these industries to survive and revive. Tan points out that during that decade China alone provided half of all sales income for the Russian defence sector. Therefore, arms sales to China cannot be said to be suicidal for Russia. from American defence majors – as a way to improve strategic ties with the US – Moscow is making every sale count. in order to move their arms business to a new stage of development. to safeguard Russia's interests and narrow the grey areas in technological transfers. still less, for Chinese export of its aircraft with the engines produced under the licence. This has been a persistent dispute in the Sino-Russian arms trade. that imposes restrictions on Beijing's export of arms originating from Russian models, but does not prevent China from producing them for its own use. to further military cooperation between the two countries. The Russian side was initially reluctant to sell the latest S-400 air defence systems and the Su-35 multirole fighters. compared with the 1500 hours of the AL-31 engines on the Su-27 and Su-30. However, the complexity of advanced Russian aircraft engines has proved to be the biggest constraint on Beijing’s copycat industry. about proceeding with the sale of advanced weaponry. In 2013, Putin cleared the sale of the S-400 and the Su-35. until its own stealth jets come online in the next decade. and other cutting-edge technologies in which Moscow lags. While there will always be an element of risk in exporting weapons to China, there is another key advantage that accrues to Moscow. “Russia’s influence on China through arms sales is not limited to its control over supply of important parts and hardware. Every year, the PLA sends up to 800 officers to Russia to study military science and learn how to operate the Russian arms it has bought. or a favourable view of the Russian model of military transformation vis-a-vis the West. This may have fostered a kind of personal affinity of PLA commanders who once studied in Russia. who studied in Russia were strong advocates of importing more Russian arms. Arms trade provides the foundation of Russia-China ties in the 21st century. Both countries need each other. China is still at least two decades behind the West in weapons technology and it can catch up only with Russian assistance. Russia has got its back covered by China, which is now its go-to partner for cash, markets and diplomatic comfort. So expect military sales and ties to continue, but with Moscow keeping a close eye on China’s copycats. "China and Iran are mulling a $1 billion deal that would see China trade 24 Chengdu J-10 fourth-generation fighter jets in exchange for control of Iran’s biggest oil field for two decades, a report in the Taiwanese newspaper Want Daily said Thursday. The oil field in question is the 350 square-mile Azadegan field, which produces around 40,000 barrels of light and heavy crude per day. It’s currently operated by the National Iranian Oil Company and is thought to be the largest oil discovery in the country in 30 years. Ironically, the fourth-generation multirole fighter jet that Beijing will offer in exchange for the oil field is based on blueprints of Israel’s Lavi fighter jet that it sold to China in the 1980s. Israel now faces the prospect of its greatest rival having similar hardware. 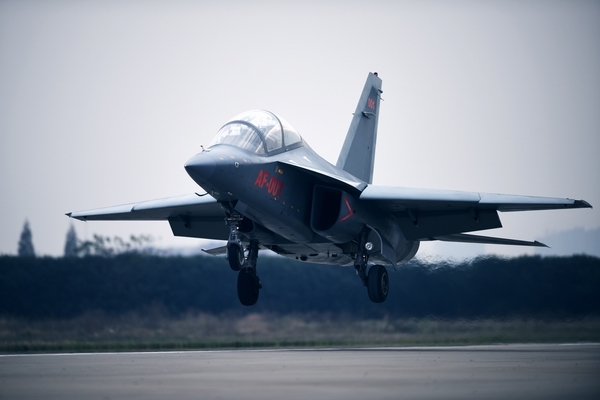 The Chengdu jet is designed to conduct ground assaults and electronic warfare. The average unit cost is about $30 million, but Iran’s deal comes with training, decades of maintenance, upgrades and access to spare parts." "The Ghana Air Force has taken delivery of four Z-9EH utility helicopters from China, and will use them to secure the West African country's oil and gas industry. 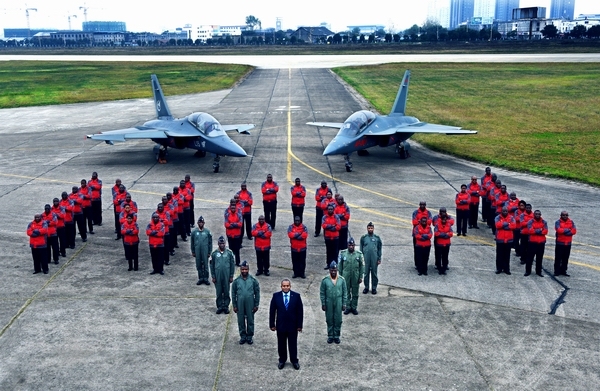 The aircraft were commissioned by President John Dramani Mahama on 23 September at Burma Camp in Accra in a ceremony attended by 300 people including representatives from the armed forces and oil and gas industry. Mahama said the aircraft manufactured by Harbin in China would be used to police the Ghana Gas project as well as other oil infrastructure. He said the delivery of the helicopters was historic as it is the first collaboration between the Ghana National Gas Company and Ghana Air Force, which will operate and maintain them, CitiFM reports. Mahama said the aircraft would also be used to secure offshore oil installations, enhance maritime security and anti-piracy, conduct medical evacuations as well as search and rescue. The Chief Executive Officer of the Ghana National Gas Company, Dr George Sipa Yankey said he was delighted that his installations are now fully monitored and protected. Mahama last month commissioned the Atuabo Gas Processing Plant of the Ghana Gas Company. The procurement of the helicopters was financed through a China Development Bank loan. The procurement also includes the spare parts and facilities for the aircraft and their maintenance, as well as personnel training. China had exported more than 60 Z-9 helicopters to several countries across the world, and the four Ghana bought were of "the most sophisticated model", China's ambassador to Ghana, Sun Baohong revealed at the ceremony, according to Xinhua. Ghana has been upgrading its military aircraft in recent times and in June Embraer secured a contract for the sale of five A-29 Super Tucano light attack and advanced training turboprops to Ghana. At the time the company said the contract would come into effect once certain conditions have been fulfilled. These conditions are expected to be fulfilled during the second half of 2015. 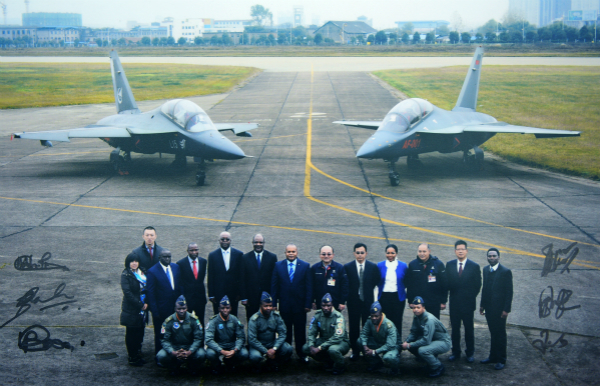 At the beginning of this year Mahama confirmed the acquisition of the four Z-9s and five Super Tucanos. The acquisitions were first announced in November last year but no quantities were mentioned. At the time, Mahama said the Ghana Air Force would acquire Super Tucanos, Z-9s, additional Mi-17 helicopters and a single C-295 transport aircraft. The aircraft would be used for training, peace support and combat operations. Future acquisitions mentioned by the Ghana Air Force include a single Embraer executive jet, four Mi-35 attack helicopters and a C-27J Spartan transport aircraft to support the Ghana Gas Company." Then Turkey announced its intention to buy a Chinese missile system in 2013, many in the West believed Ankara was veering away from NATO. But look at that decision—and its recent reversal— through Turkish eyes, and the situation looks a lot different. Ultimately, the episode should teach its Western allies about what Turkey really wants, and doesn’t want. The grainy video might appear to be another U.S. drone strike, but this was a Nigerian military crew operating a Chinese-built Rainbow drone against Boko Haram, an extremist militia allied with Islamic State, in northeastern Nigeria's remote Sambisa Forest on Feb. 2. The United States and Britain fly U.S.-made armed MQ-1 Predators or MQ-9 Reapers, and Israel builds its own. But the three newcomers — Nigeria, Pakistan and Iraq — all took advantage of China's growing exports of the unmanned aircraft systems that are reshaping modern warfare. A total of 78 countries now deploy surveillance drones. More than 20, including the six named above, either have or are developing armed drones, according to the New America Foundation, a nonprofit public policy institute in Washington that tracks the industry. Some nations, including Russia and Iran, designed and built their own missile-firing drone fleets. Others, including India and Jordan, reportedly bought theirs from Israel. "It is a good illustration of how this technology has gone global," said Peter W. Singer, a fellow at New America and author of "Wired for War," a book on robotic warfare. "What was recently considered abnormal is the new normal of technology and war." All the major forces in Syria's civil war now use drones, for example. Syrian President Bashar Assad's forces, Russia, Iran and Islamic State militants all have flown unmanned aircraft the size of large model planes to reconnoiter targets, while the U.S. and Britain have operated giant Reaper surveillance and killer drones. The U.S. is by far the most prolific user of drones. Independent groups say more than 500 U.S. military and CIA drone strikes have killed about 3,800 militants, about 400 civilians, and at least eight Americans, in seven countries over the last decade. Most U.S. military drone exports are limited by the Missile Technology Control Regime, a 1987 international accord meant to limit the spread of ballistic missiles. The State Department agreed in February 2015 to relax those Cold War-era restrictions, although with a "strong presumption of denial." Each sale requires congressional approval under the foreign military sales program, and only two foreign sales have gone through in recent months. On Feb. 17, approval was granted to sell four unarmed Reapers, each equipped with sophisticated sensors and radars, to Spain. In November, the U.S. approved Italy's long-pending request to arm its two Reaper drones with Hellfire missiles and laser-guided bombs. David McKeeby, a spokesman for the State Department's bureau of political and military affairs, said the U.S. policy is to try to ensure future sales aren't high risk. "Moving forward, the United States intends to work with foreign partners to develop international standards for the sale, transfer and use of military [drones] more broadly," he said. The issue is closely watched in Southern California. Northrop Grumman Corp. and Lockheed Martin Corp. assemble surveillance drones in Palmdale, while General Atomics Aeronautical Systems Inc. builds Predator and Reaper drones in Poway. China Aerospace Science and Technology Corp., a state-owned entity, has found a ready market for its medium-altitude, long-distance drones since 2011, according to the Stockholm International Peace Research Institute, a nonpartisan think tank in Sweden that documents the global arms trade. China has sold at least five armed CH-3 drones to Nigeria, four to Iraq and an unknown number of larger CH-4 drones to Pakistan, the institute says. The CH stands for caihong, or rainbow. The CH-3 is a stubby-looking plane with a 26-foot wingspan and a propeller in the back. The CH-4 appears to be a copy of the American-made Reaper, with a bulbous nose, a 60-foot wingspan and a V tail fin. "There is increasing demand around the world for this technology and China is seizing on it," Pieter Wezeman, a researcher at the Stockholm institute, said in a telephone interview. "China does not have political restraints to sell arms. So when they see an opportunity, they will take it." The proliferation became obvious last year. On Sept. 6, Pakistani military spokesman Gen. Asim Bajwa announced on Twitter that the army had launched its first drone strike to kill three "high-profile terrorists" in North Waziristan, a tribal area in northwestern Pakistan. Bajwa said the attack involved a Pakistani-made Burraq aircraft, named after the winged horse that Muslims say transported the prophet Muhammad from Mecca. But U.S. defense analysts say it was a CH-3 from China. Three months later, on Dec. 6, the Iraqi military announced that it had used a Chinese CH-4 drone during the offensive to retake the city of Ramadi from Islamic State militants. The first sign of Nigeria's CH-3 drone fleet emerged in January last year when one crashed, and photos of the debris appeared online. The next was this month's airstrike against the Boko Haram camp in the forest. The Pentagon expressed no qualms about that attack. "We are not concerned about [Nigerian government forces] having this technology," said Lt. Cmdr. Anthony Falvo, spokesman for U.S. Africa Command, "as long as it is applied in a responsible manner and solely in an effort to better secure their borders against violent or illegal activities that disrupt stability or present a danger to their overall security." China has almost doubled its weapons exports in the past five years, a military think tank said on Monday, as the world's third-largest weapons exporter pours capital into developing an advanced arms manufacturing industry. In 2011 to 2015, China's arms imports fell 25 percent compared with the previous five year period, signaling a growing confidence in the country's homegrown weaponry despite key areas of weakness, the Stockholm International Peace Research Institute (SIPRI) said in a report on global arms transfers. Chinese exports of major arms, which excludes most light weaponry, grew by 88 percent in 2011-2015 compared to the earlier five-year timeframe, SIPRI said. The country still accounted for only 5.9 percent of global arms exports from 2011-2015, well beind the United States and Russia, by far the world's two largest arms exporters. "The Chinese until ten years ago were only able to offer low tech equipment. That has changed," said Siemon Wezeman, Senior Researcher with the SIPRI Arms and Military Expenditure Programme. "The equipment that they produce is much more highly advanced than ten years ago, and attracts interest from some of the bigger markets." China has invested billions developing its homegrown weapons industry to support its growing maritime ambitions in the South China Sea and the Indian Ocean, and also with an eye toward foreign markets for its comparatively low cost technology. Its total military budget in 2015 was 886.9 billion yuan ($141.45 billion), up 10 percent from a year earlier. The U.S. and Russia saw weapons exports grow by 27 percent and 28 percent respectively, while exports of major arms by France and Germany, the fourth and fifth largest weapons exporters, fell over the same period. Most of China's arms sales went to countries in Asia and Oceania, the report found, with Pakistan accounting for 35 percent, followed by Bangladesh and Myanmar. Pakistan is a key Chinese ally, and close military ties between the two countries has sometimes stoked tensions with neighbouring India, which is seeking to boost its own homegrown weapons industry. China still needs to import weapons including large transport aircraft, helicopters as well as engines for aircraft, vehicles and ships, according to the report. China, the world's second largest economy, signed deals in 2015 to buy air defence systems and two dozen combat jets from Russia, its largest arms supplier. Unlike India, which has failed to produce “competitive indigenously designed weapons”, China has become increasingly capable of producing advanced hardware, the report said. China imported 25% less arms between 2006-10 and 2011-15. “While in the early-2000s China was by far the largest importer, it dropped to third place in 2011-15,” the report said. China’s increase in exports has allowed Beijing’s arms industry to finance faster development of domestic weapons, and the same study showed China’s imports have fallen by 25 per cent over the same period exports have surged. It was still the third-largest importer of weapons globally in the past five years, accounting for 4.7 per cent, mainly from Russia, said Sipri. Beijing’s rapid military expansion has sparked security fears around the Asia-Pacific region, particularly in response to China’s muscular defence of its maritime claims in the South China Sea. India was the world’s largest importer during the 2011-2015 period, accounting for 14 per cent of global arms imports, and China’s other neighbours have also begun to beef up their arsenals. Vietnam, for example, which faces an increasingly intractable confrontation with China over South China Sea Islands, saw arms imports rise by a massive 699 per cent to hit 2.9 per cent of global imports, according to Sipri. Six of the 10 biggest arms importers in the five-year period were in Asia and Oceania, Sipri said. In addition to India, China and Vietnam, Australia accounted for 3.6 per cent, Pakistan for 3.3 per cent and South Korea for 2.6 per cent. Last year Sipri announced China had boosted exports of military weapons and equipment by 143 per cent over the previous five years to usurp Germany as the world’s third-largest arms trader. Nigeria's NTA News channel has confirmed that the delivery of the second P18N offshore patrol vessel (OPV) that was built for the West African country in China has been delayed. It broadcast footage on 17 April showing Defence Minister Mansur Mohammed Dan Ali meeting the management of the China Shipbuilding Industry Corporation (CSIC) during a visit to Beijing and said he intended "to resolve the issue with the second offshore patrol vessel they are building for Nigeria and agree on a timeline of delivery". When the first OPV, NNS Centenary , arrived in Nigeria in February 2015, the then chief of the navy staff said the second, Unity , would arrive later that year. But now that they have used this new capability to murder almost 4,000 people... note more than were killed in 11/9 BTW, they are now worried because someone might misuse the technology!!!! All you really need is for US drug gangs to go to the local model shop and buy a model Mustang and put a steel bar a couple of cms thick down the centreline maybe 2-3m long and have that flying near their drug operations... any police helicopter could be taken down by flying the Mustang into its main rotor... Of course they could afford a few kgs of HE so it could be flown into any black van with tinted windows near their hideouts... pre emptive self defence? Why shouldn't China produce what the people want? "China will also develop transport jets that are even larger than the Y-20 and comparable to the Lockheed C-5 Galaxy from the United States and the Antonov An-225 Mriya, " - I belive they tried to say that they WILL develop aircraft comparable to C-5 and Antonov 225 in future, rather than comparing it to them. Well IL-76 and C-17 basically are both strategic heavy lifters, just medium ones. The Il-476 and C-17 are medium strategic transports, because aircraft in lower weight classes are only nominally strategic with any sort of comparable payload... the An-70 and and that euro bit of crap would be medium short range transports and light strategic transports. The Il476 and C-17 and C-141 are only heavy short range transports, medium strategic transports. The mass production of Y-20 heavy military transport aircraft is set to begin as early as this year. According to Chinese media, the aircraft will also join the military forces around the same time. According to the publications of Chinese military experts, the PLA may require no less than 100 heavy military transport aircraft for the global mobility of its armed forces, conducting evacuation of its citizens from unstable parts of the world and other tasks related to security. “China's ability to independently build a strong strategic military transport aircraft will be demonstrated by the speed with which they can produce all their new aircraft,” military expert Vasily Kashin told Sputnik. In addition, another 50-60 vehicles will be needed for production of tanker planes, AWACS aircraft, aircraft for the electronic intelligence and electronic warfare. Until now, the largest mass-produced aircraft in China was the Y-8. Its production began in 1981 and by 2010, 169 of these giants were put together. The average production rate was thus 5-6 aircraft per year, but in fact, it was much lower in the early years. In general, the production potential of the Chinese industry for the production of large aircraft was relatively small. China is now preparing to simultaneously launch three completely new models of large aircraft, i.e. passenger aircraft C919, Y-20 and Xiolung into production. At the same time it plans to continue the production of medium-sized transport aircraft Y-8 / Y-9, as well as long-range bombers H-6K. It must be kept in mind that the production of new aircraft is time consuming and the training of personnel that will work to manufacture these aircraft is a difficult task. Such a rapid build-up of the number of employees can lead lower quality training and as a result, could reduce the quality of the final product. It is possible that in the first years we will see the rate of production come up to 2-4 machines per year. “Requirements for heavy transport aircraft in the PLA can grow faster than the production capacity of the Chinese industry,” Kashin said. The Chinese Army is increasing its participation in UN peacekeeping operations on other continents. China has its first foreign military base in Djibouti and it is likely to be followed by others. The Chinese government takes protection of its citizens abroad very seriously and conducts all sorts of complex operations to evacuate its nationals from conflict zones. Thus, heavy military transport aircraft continues to be a promising area of Russian-Chinese cooperation. Thai Deputy Premier Prawit Wongsuwan confirmed on Friday that Thailand will buy three Chinese-built submarines for a combined price of one billion U.S. dollars. The Thai navy's proposal to procure the three Yuan-class S26T subs from China has been put on hold since last year by the deputy premier who is concurrently defense minister. Now that Gen Prawit has given his nod, the navy will use its fiscal 2017 budget amounting to some 333 million U.S. dollars to buy the first Chinese sub next year with the two others to follow over the next few years. The deputy premier said the navy will only pay for the Chinese subs on instalment basis which will span a ten-year's time from next year. Traditionally, Latin American nations have opted for arms based on the ideology of their ruling regimes. Countries such as Nicaragua and Cuba were firmly in the Soviet camp while Peru flirted with socialism; this resulted in an influx of Soviet bloc arms such as various MiGs, Sukhoi Su-22s, T-series tanks and Soviet SAMs into these countries. The rest of the region was firmly in the Western camp as far as arms sales were concerned, and their armed forces were equipped with French combat aircraft, British ships and American transports and ageing tanks. When the Cold War ended, Russia made some inroads into the region with increased sales to Peru and minor sales to Uruguay, but America continued to dominate, with a brisk trade in foreign-used arms such as tanks and combat aircraft. Mention must also be made of the reasonably capable arms industries in countries like Brazil, Colombia, Peru and Chile, and Argentina retaining considerable industrial prowess despite its economic woes. China’s foray into the region’s military market was initially in the form of non-lethal aid: uniforms, medical supplies, hospital equipment, engineering equipment and an extensive package of training at Chinese military academies for staff officers. This was combined with visits by a Chinese hospital ship Peace Ark in 2011 in a successful exercise of Beijing’s soft power. The impact of these initiatives, in particular the training at Chinese academies, should not be underestimated as several officers who attended such schools have attained positions of some power and influence in their respective countries. This has also been synchronised with China’s expanding economic footprint in the region. Its trade with the region rose to USD 289 billion in 2013 from only 12 billion in 2000 and it has also offered to invest over 250 billion. China’s breakthrough came when Venezuela’s then President Hugo Chavez, in his quest to diversify arms supplies given a somewhat uneasy relationship with the United States, turned to Russia for Su-30MKV fighters and to China for K-8 trainers and air search radars in 2008. Subsequently, the Chavez, and later Maduro, regimes made extensive purchases from China, including transport aircraft, self-propelled artillery and armoured personnel carriers, some of which were deployed to crush protesters in 2014.5 The Maduro Government has indicated that it wishes to purchase more Chinese arms, but the Venezuelan economic collapse may impact upon these plans. The next big success for China came in 2009 when a somewhat petulant act by a US government irritated with the left-leaning Evo Morales of Bolivia pressured the Czech Republic to cancel the sale of L-159 light attack/ trainers which make extensive use of American technology. Following the cancellation of the deal, Bolivia, aided by a loan from China, purchased six K-8 aircraft. Subsequent Bolivian purchases include six Z-9 helicopters. The Bolivian deal highlights one of the factors for China’s success – American pressure on potential Western suppliers. In addition, the US has been unwilling to transfer state-of-the-art hardware to Latin America, with only Chile and (two decades before Chavez came to office) Venezuela operating F-16s and no other modern US combat aircraft serving in the region. In fact, outside of the Chilean F-16 and some infantry equipment, Latin American militaries are equipped with an arsenal of ageing hardware in need of replacement. China’s willingness to supply modern equipment at highly competitive prices makes purchases from it very attractive. China has also been willing to sell to states considered to be pariahs by the United States and its allies – such as Venezuela and Bolivia – and it is willing to offer financing packages as an additional incentive. It is this combination of political determination to penetrate the market, an “agnostic” approach to regimes, a readiness to supply the entire plethora of hardware with few restrictions and the use of China’s financial institutions to facilitate the purchase of military hardware that make China a formidable presence in the region. China has not been averse to using its influence to subvert normal tendering and procurement processes, relying on courting leaders to secure arms deals. In two instances – Trinidad & Tobago and Argentina – deals were secured in large part because of personal connections with the respective leaders of those two countries. In the case of Trinidad & Tobago, the then Prime Minister, Kamla Persad-Bissessar, committed to the purchase of a 79m offshore patrol vessel (albeit now called a Long Range Vessel – LRV – and completely unarmed) in a deal that was widely criticized, coming on the heels of a messy arbitration against BAES over the cancellation of a deal for 3 OPVs of superior quality and being concluded in the absence of any naval experts and without any evaluation. The purchase of this vessel was apparently tied to a loan of USD 5 billion being offered by China to Trinidad. While the vessel, now designated CG 60 – Nelson 2, has been delivered, payment issues are yet to be resolved as a new government has chosen to re-examine the deal. Similarly, the Chinese company Huawei was awarded a contract to build a national command centre without going through the stipulated tender process. Argentina’s cooperation with China blossomed under the leadership of then President Christine Fernandez de Kirchner, while that with the United States declined. 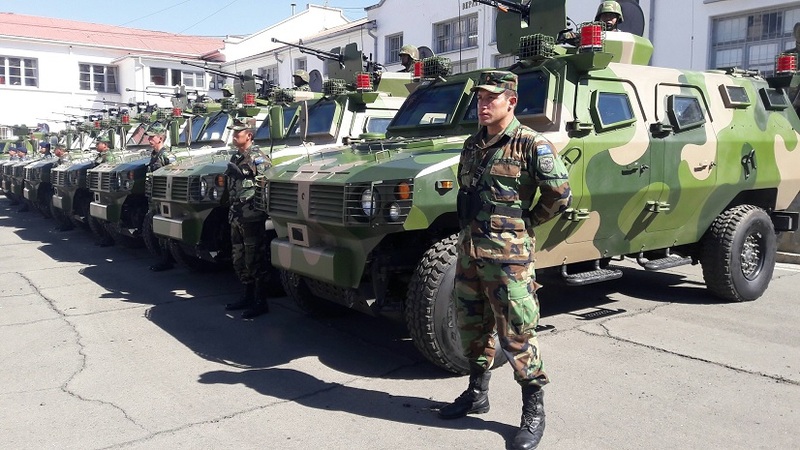 In 2014, a comprehensive strategic partnership with China was announced and in 2015 President Fernandez de Kirchner pledged to purchase 110 VN-1 8×8 armoured personnel carriers, five 1,800-ton P-18A Malvinas-class OPVs, and 14 Chengdu Aircraft Corporation (CAC) FC-1/JF-17 Thunder multi-role fighters. If pursued, this deal would be the largest Chinese arms deal ever in Latin America. But with a new government in power in Buenos Aires, it remains to be seen whether the plans of the previous government will come to fruition especially since the centre-right government of Mauricio Macri may seek to pull Argentina’s foreign policy away from alignment with Russia, China and the ALBA alliance. These two examples highlight the potential drawbacks of finalizing arms deals through personal relationships as a change of government could jeopardize such arrangements. While it is certainly true that China has not always had its own way with defence deals in Latin America – with Peru and Ecuador cancelling planned purchases – it is nonetheless true that China’s inroads into the region have been remarkable. This has serious implications for the region and for those seeking to limit or at least moderate Chinese influence in the region. Concern and focus has been placed on China’s trade, investment and other economic activity in Latin America. But, to date, little assessment has been made on the impact of China’s military sales to the region with respect to the building of influence and the subtle forging of alliances that could inevitably follow. It is of interest to note that the United States, once the dominant influence over the armed forces of the region, is now in danger of losing that position to China and has already lost it in countries like Bolivia and Venezuela. Of further interest is that countries such as South Korea are also making inroads into the Latin American region with joint-ventures with Colombian and Peruvian companies for building patrol vessels and has exported trainer aircraft to Peru and anti-ship missiles to Colombia. As American influence wanes, will South Korea emerge as a rival to China in the region? According to Malaysian media, November 5, 2016 the Malaysian Ministry of Defence signed a contract with the Chinese foreign trade association China Shipbuilding & Offshore International Company (CSOC) for the construction of four small VMC Malaysian patrol boats LMS68 Chinese project in the framework of Littoral Mission Ship (LMS). Our blog has already reported about the possible purchase by Iraq of the Chinese anti-aircraft missile system of medium and long-range FD-2000. Resource «East Pendulum» in the article «l'Irak prépare un contrat de 2,5 Md USD avec la Chine?» Provides further details of the story. Thus, the total size of the package of contracts between Iraq and China reached US $ 2.5 billion. Part of this money is a government loan. It is noted that although Iraq's Russia was a candidate number 1 and had planned to put seven battalions of S-300, as well as proceed with the project assembly in Iraq (Basra) T-90S tanks. Russia's refusal to provide financial resources forced the Iraqis to turn to the Chinese side. Iraq's Council of Ministers must approve the selection in 2017 of advance payment of $ 833 million., Followed by a contract with the Chinese will come into force. In addition to air defense weapons package contract includes the supply of Iraq VT-4 tanks and other armaments for the army and the Iraqi police. Supplier will be NORINCO Corporation and export company Poly Technologies. Representatives of the first of them took part in a meeting with the Iraqi government July 13, 2016, during which was discussed the restoration of the Iraqi defense industry. The first buyer of VT-4 tanks became Thailand, which had had a favorable impression of the car, despite the relatively high price of $ 5.4 million. For the tank. This tank is also being tested in Pakistan. In addition, Iraq in 2015, uses four shock-UAV CH 4 produced in China. It is possible that Iraq additional UAVs of this type will be ordered, in an embodiment of the CH-5. China is beginning to export its own weapon designs, including armed drones, worldwide and is reaching "near-parity" with the West in terms of military technology, according to a report on Tuesday. The International Institute for Strategic Studies said that China's official defence budget of $145 billion (137 billion euros) last year was 1.8 times higher than those of South Korea and Japan combined. It also accounted for more than a third of Asia's total military spending in 2016, the IISS annual Military Balance report said, adding that spending in Asia grew by five to six percentage points a year between 2012 and 2016. Total global military spending instead fell by 0.4 percent in real terms in 2016 compared to 2015, largely due to reductions in the Middle East. "China's military progress highlights that Western dominance in the field of advanced weapons systems can no longer be taken for granted," IISS director John Chipman said at a presentation in London. "An emerging threat for deployed Western forces is that with China looking to sell more abroad, they may confront more advanced military systems, in more places, and operated by a broader range of adversaries," Chipman said. The report found that in terms of air power "China appears to be reaching near-parity with the West". It said one of China's air-to-air missiles had no Western equivalent and that China had introduced a type of short-range missile that "only a handful of leading aerospace nations are able to develop". It said China was also developing "what could be the world's longest range air-to-air missile". The report noted that Chinese military exports to Africa last year "were moving from the sale of Soviet-era designs to the export of systems designed in China". It said that Chinese-made armed drones had been seen in Nigeria and Saudi Arabia. The report also noted that European states are "only gradually" increasing their defence spending. "While Europe was one of the three regions in the world where defence spending rose in 2015-16, European defence spending remains modest as a proportion of the continent's GDP," the study said. In 2016, IISS found that only two European NATO states -- Greece and Estonia -- met the aim of spending 2.0 percent of their GDP on defence. This was down from four European states that met the target in 2015 -- Britain, Greece, Estonia and Poland. Britain dipped to 1.98 percent of GDP, according to IISS calculations, although that figure was immediately disputed by Britain's defence ministry. But the IISS said it was more important that countries focus on upgrading their military equipment. "This is made more urgent because of the degree to which Western states have reduced their equipment and personnel numbers since the Cold War," it said. 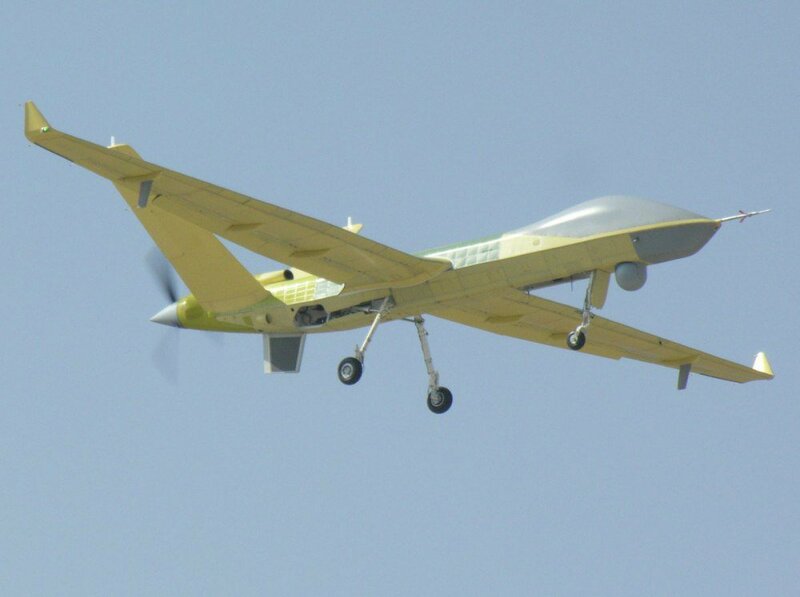 According to Chinese network sources, Saudi Arabia has signed a contract for the acquisition of 300 newest Chinese reconnaissance and strike unmanned aerial vehicles Pterodactyl II (Wing Loong II, 翼龙 II) developed by the Chengdu Aircraft Design and Research Institute (CADI ) And enterprises Chengdu Aircraft Industry Group (part of the Chinese state aviation-industrial corporation AVIC) in Chengdu. The cost of the contract, along with associated equipment and weapons, is allegedly about $ 10 billion, which in this case makes it the largest export contract in the history of Chinese aircraft industry, as well as the world record contract for the purchase of UAVs.